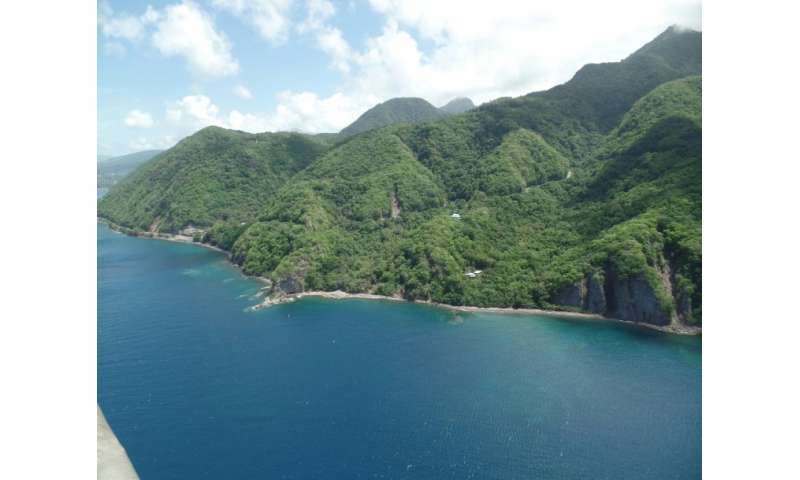 But the fate of two of Dominica's most prized species are still a source of worry a year after Hurricane Maria tore apart the tiny Caribbean island. Dominica's famously lush forests are slowly coming back to life after the worst destruction in the country's history, prompting a return of the intriguing creatures that call them home. The sisserou parrot and the mountain chicken frog -– both national emblems and both endangered -– have grown notably more scarce, however. "The impact on their habitat affects everything, from their feeding habits to their stress levels and the way they relate to each other," forestry officer Bradley Guye told AFP. The endemic sisserou -– at the center of the national flag –- was badly hit by the 160 mile (257 kilometer) per hour winds. Up to half of the estimated 400 birds left in the wild may have been lost, according to Guye. Exact numbers are elusive because much of the woodland is inaccessible. The parrots mate for life, are said to be extremely faithful to each other and even grieve for a lost partner. The sisserou birds are still reeling from Maria's onslaught: "Just like humans, some animals want to feel loved and comforted when they've suffered trauma, which can lead to exaggerated mating," Guye said. "And some just want to hide away and not see anybody." Exacerbating the parrots' plight was the loss of Dominica's abundant fresh fruit trees, an important food source. The center has been working to increase the numbers of both the birds and the frogs. The critically endangered mountain chicken frog was once the national dish, gaining its name from its chicken-like taste. 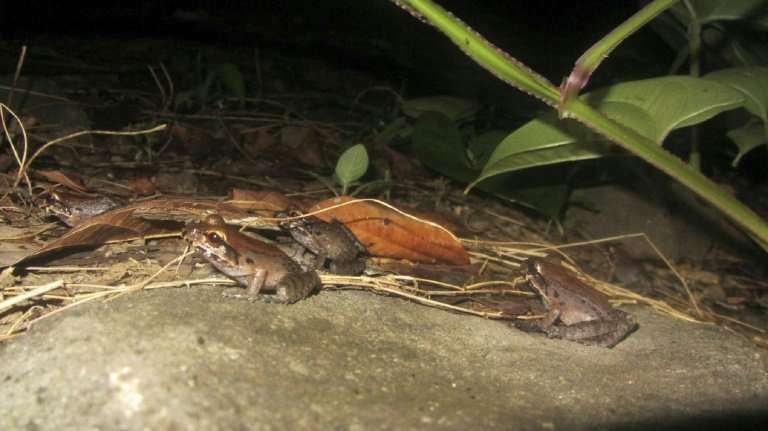 But a deadly fungal disease has taken the frog to the brink of extinction in recent years. Dubbed the "crapaud"—French for "toad"—the frogs are unusually large, breed in underground burrows rather than water, and have a distinctive mating call that is somewhere between a "whoop" and a bark. "We have been to their usual sites and heard their calls so we know there is still some activity," Mr Guye said. "But their habitat was badly damaged and some relocated." "The skin disease combined with the storm means their status is very shaky." The "nature isle" owes much to its forests, long the source of everything from bush medicine to eco-tourism. 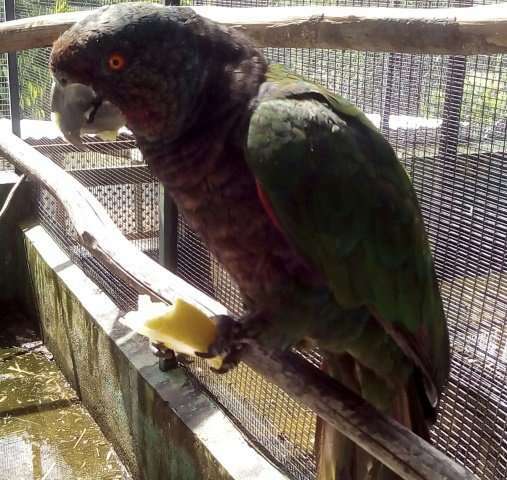 Environment chiefs say sightings of agouti, possums, red-necked amazon parrots and doves have been positive and they hope to begin a thorough wildlife inventory in January. Hurricane Maria struck September 18, 2017 and killed dozens of people, ripped roofs from 90 percent of buildings and caused damage topping $1.3 billion. It's a date seared into the nation's memory, and while the nation's cherished trees could take up to a decade to return to their former glory, their gradual rejuvenation is a welcome sign of recovery. "Our wildlife is a resource that's integral to our culture and traditions, and we work hard to protect our forests," Guye said. "Without it, children today would not know what a mountain chicken or an agouti was. I want my children and grandchildren to know too."